to the hundred fish that fled. The little poem above emerged, almost full-grown, in a Loft workshop with poet Angela Shannon. 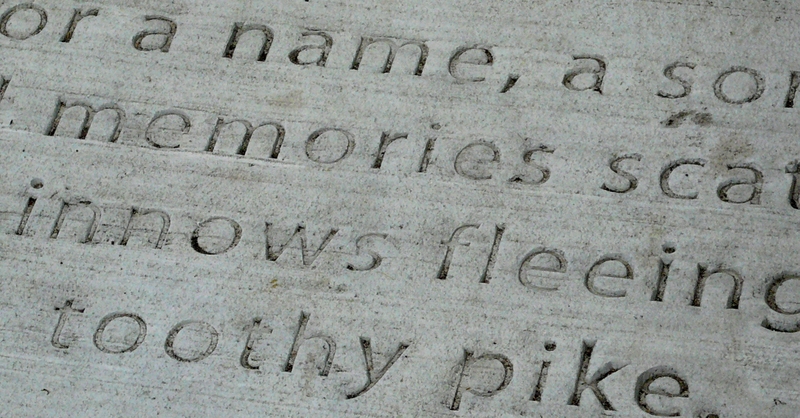 Later it became part of Marcus Young’s St. Paul sidewalk poetry project. At the time, I thought it was just a personal and emotional little hiccup, a pause in my fiction writing. I ended up writing a whole collection of poems, Mermaid’s Corpse, built around memory and forgetting. And still, the interplay of memory and forgetting kept me in its grip. ← What does it mean to know something by heart?